US President Barack Obama may have signed a milestone agreement a couple of weeks ago with Russia to reduce nuclear warhead stocks in both countries. 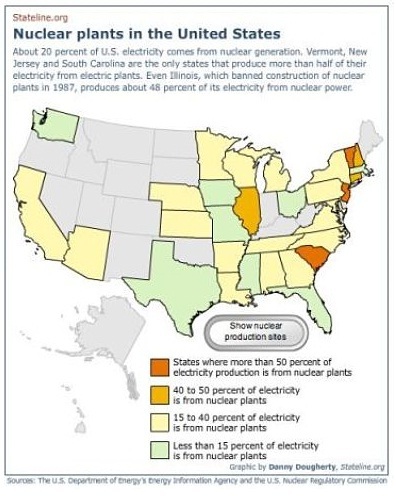 But when it comes to nuclear power stations, production looks set to gear up in the US as states attempt to secure future electricity supply. 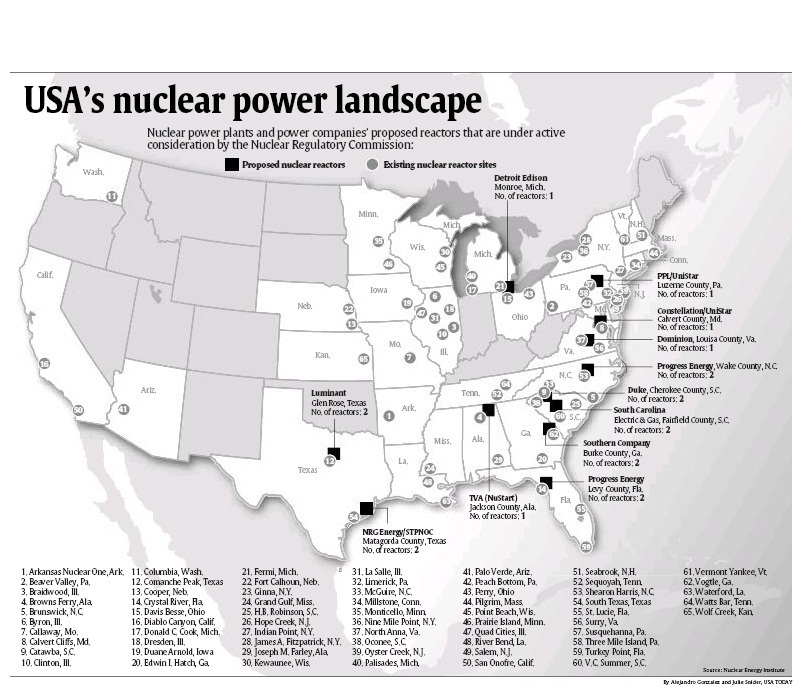 And as this graphic from USA Today shows, most of the proposed new nuclear power stations are sited in eastern states.